MADISON, Wis. — All the carries were starting to get to Wisconsin‘s Jonathan Taylor. By his own admission, he wasn’t at full speed late in a marathon game against Purdue, though it sure didn’t look like it in triple overtime. Add last week’s performance in a thrilling win over Purdue to the highlight reel for the Badgers‘ star sophomore. Three scores and a career-best 321 yards, including the game-winning dash to the end zone on his 33rd and final carry. Look out Minnesota. Taylor is rested and ready to go again for the regular-season finale on Saturday against the Gophers in the annual rivalry game for Paul Bunyan’s Axe. “I think what he’s doing is truly special,” coach Paul Chryst said. The nation’s leading rusher averages 169.9 yards per game, 31.6 yards better than second-place Darrell Henderson of Memphis. With 3,846 career yards going into Saturday, Taylor has smashed former Wisconsin star Ron Dayne’s major college record for career rushing yards though a sophomore season (3,566). And Taylor still has two more games left this year. No wonder he’s a finalist again for the Doak Walker Award, given to the nation’s best running back. Taylor said his patience has improved from his freshman season, so he knows to wait for the right holes to develop. Once the hole opens, the 5-foot-11, 221-pound Taylor can motor into the open field. He’s developed another gear, offensive coordinator Joe Rudolph said. Taylor is amassing all these yards in spite of an up-and-down year for the Badgers’ passing attack. Backup Jack Coan might start against Minnesota with Alex Hornibrook listed as questionable again while in the concussion protocol. Coan showed some improvement last week against Purdue, though perhaps not quite enough to prevent the Minnesota defense from focusing on slowing Taylor. It happens every week, and yet Taylor still manages to be productive. “You’d hate to saddle him with ‘you’ve got to produce these numbers,'” Chryst said. “But it all depends on what’s happening, how your defense playing, who you’re playing against, what you’re doing offensively. Somehow, Taylor manages to look stronger later in the game. 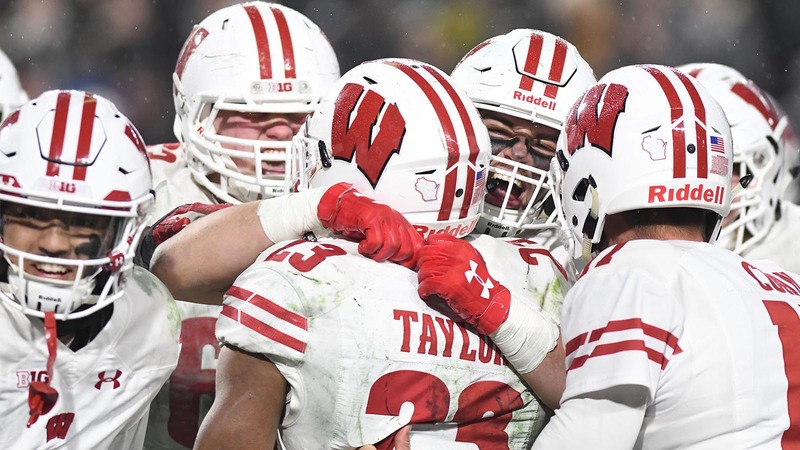 It’s partly because of Wisconsin’s grinding running attack, with a big, physical offensive line that can wear down opponents. Even in a triple overtime, when everyone is tired. “You have to be mentally tough to fight through things like that,” Taylor said.